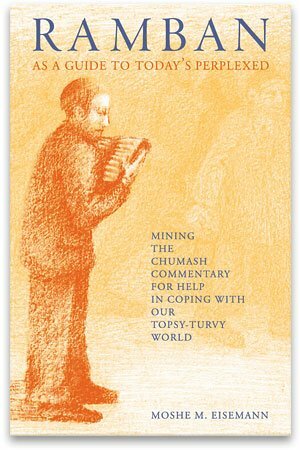 R. Moshe Eisemann regularly publishes short books that are used as fundraising tools for the Kishiniev Yeshiva. I recently received his latest book, which is an (extremely thoughtful and eloquent) analysis of the Ramban's position on the nature of man and divine providence (link). I was pleasantly surprised by this book on a number of levels. If Ramban accepts Targum's interpretation, it would simply mean that these people are occasionally left to the vagaries of nature. There will be times when what happens to them will be directly brought about through hashgachah either to reward or to punish. During the intervening times they are left to their own devices. If what Ramban taught us sounds to our guilty ears like a form of caste system, that is not what the Ribono shel Olam wants us to feel. He hopes that, knowing that we have not measured up to the degree of deveikus which would place us among the "ins," we will fight long and hard to regain entry into His embrace. The degree to which we remain on the outside depends entirely upon ourselves. The Ribono shel Olam is waiting.